Eri and Philip Chu are brothers from Hong Kong, who were two kids who dreamed of being famous singers one day, until that day when their mother and sister took them to a high-end boutique in Hong Kong and they discovered the world of fashion and forever hooked. 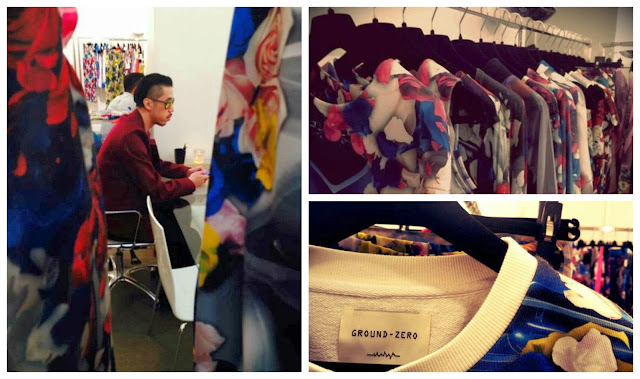 They launched their brand Ground Zero in London back in 2003 when Philip was still studying fashion design at Middlesex University, Ground Zero is a futuristic and artistic brand that combines strong, dynamic prints with interesting silhouettes and cuts. 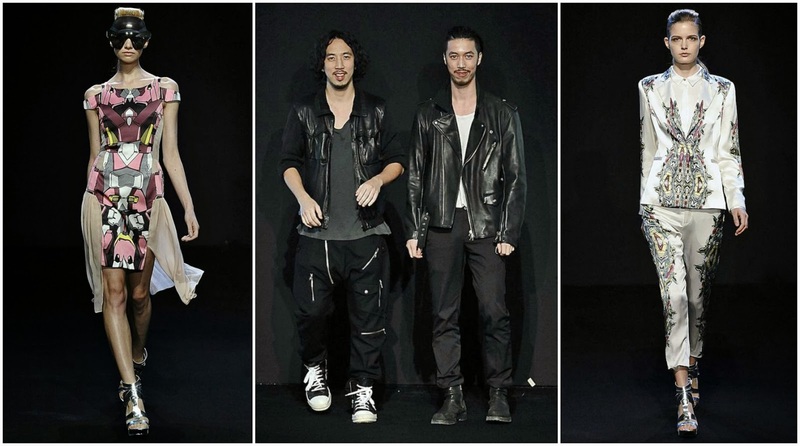 Their latest collection which they've launched during Paris Fashion Week had their famous signature all over it. 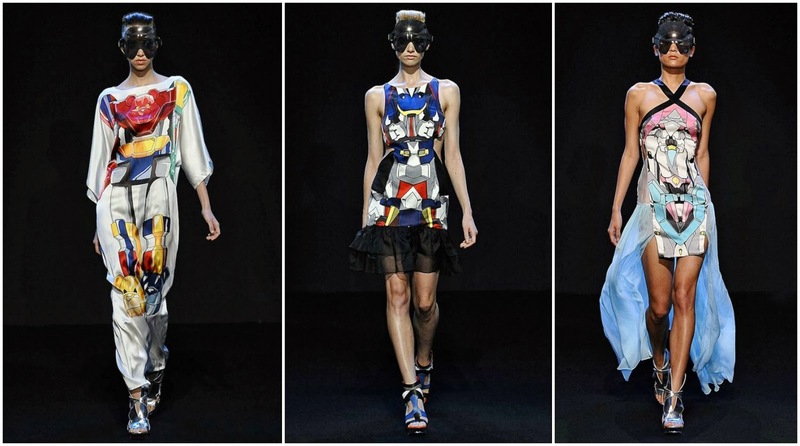 The pieces were unique, magnificent and the prints were Sci-fictional, also three dimensional, making it among our favorite SS14 collections this year. We were excited to share with you an interview with the minds behind Ground Zero, here's what Philip has told us about the brand, working with his brother and more.. 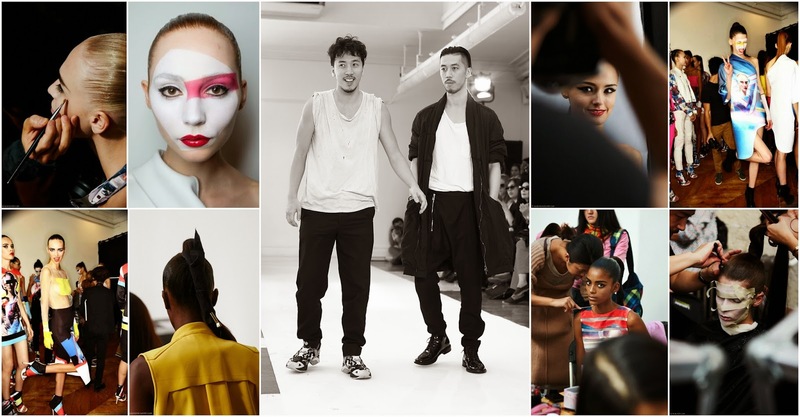 Fashion duets are usually a success tell us about your experience working together and how did you start in this field? During my studies in London, my brother Eri and I started designing and making a line of printed t-shirts, our initial step in fashion. Where are you based and how did your brand name "Ground Zero" come about? We are based in Hong Kong now. Ground-Zero is the root of our first step, we started with zero and the ground is the foundation which we've built on, we believe zero is everything. Since you are a brand which is famous for it's beautiful & unique prints, what comes first in the designing process, the prints or the silhouettes? A mixture of both, really depends on how our mind works at that time. Sometimes the print ideas come quicker than the silhouettes and vice versa. We adapt the silhouettes around the prints to make the whole thing work better, as the prints are our signature identity. What inspires you the most? specially for your latest SS2014 collection which was amazing.. Contrast is fascinating, exploring the balance of gender with machinery and femininity, SS14 is our unique perspective on adolescence, the full characteristics of spring flowers growing into full bloom and expanding into the future. You've been showing in Paris Fashion Week for the past 3 seasons which is a dream for most designers tell us about that experience..
We've been showing in Paris Fashion Week for three seasons and we still get the same feelings every time, the preparation, the anticipation, the end finale. The experience is truly an honor. You had a menswear collection as a side project, will we be seeing a menswear line any time soon? We are focused on our womenswear at the moment, we love menswear as well but for now, womenswear is our priority. 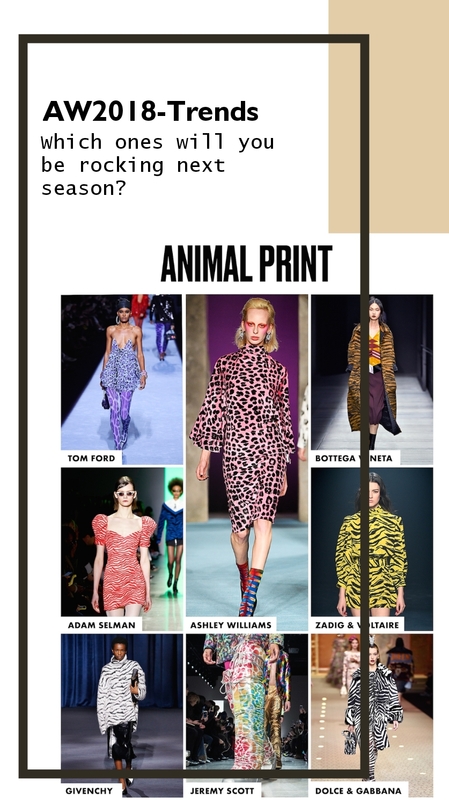 We love K-Pop and we saw 2NE1 wearing from your SS13 collection while promoting few months ago, which celebrities would you like to dress in the future? Yes 2NE1 are lovely girls, very happy to work with them. We would also love to dress artists like Rhianna, Rita Ora..
Now, tell us about your 3 fashion must haves for this fall season? Leather Jacket , Chunky Knit, Oversize Sweater.